 Providing New Zealand Solutions In Five Core Areas. Our vast experience in the building maintenance and construction industry provides us with access to the products and expertise required to undertake inspection, repair and construction works on almost every type of building material. The vast industry experience of Goleman Group and well-established course framework within Tai Poutini together offer a complete package of NZQA units and industry recognised training courses. 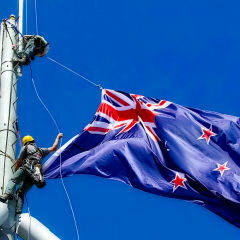 Goleman Group is New Zealand’s leading provider for engineered height safety access systems. Designing, inspecting, installing and certifying. Creating safer environments for all workers. 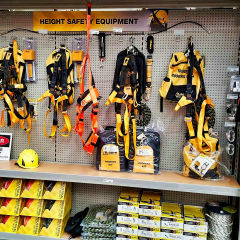 We have an extensive range of affordable height safety equipment and general personal protective equipment. 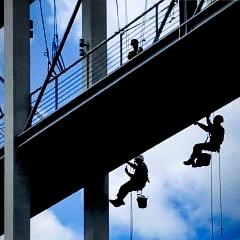 All which has been chosen by using the equipment ourselves for many years in the rope access, roofing and construction industries. 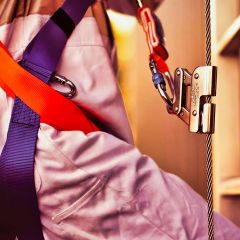 Rope Access, scaffold and access machines are just a few of the many forms of access Goleman Group technicians are trained and qualified to utilise.